i've been on a smoothie kick this summer, since i'm trying to get all the vitamins/antioxidants/healthy things possible for baby Hood, but sometimes you just need a cold snack. 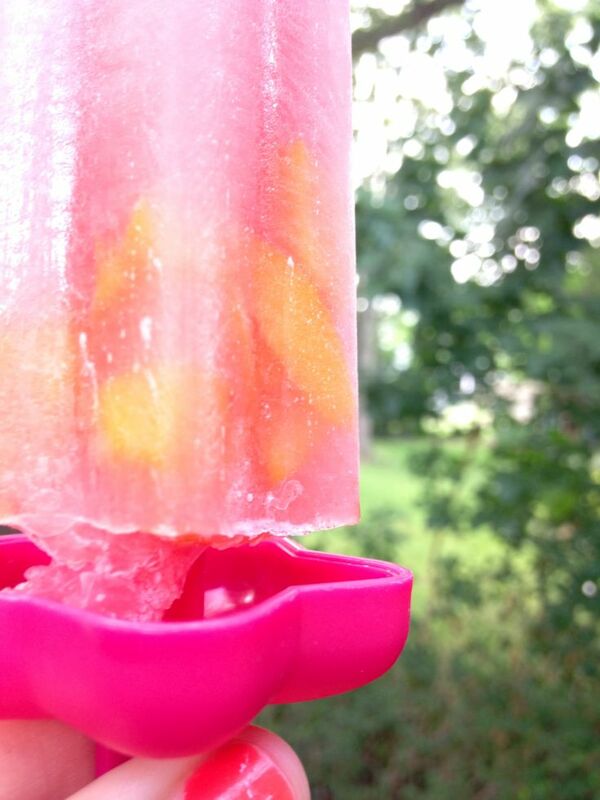 my jolly-rancher-flavored popsicles aren't that healthy (read: they are super high in sugar), so to make myself feel better, i chopped up some fruit and tossed it in there. 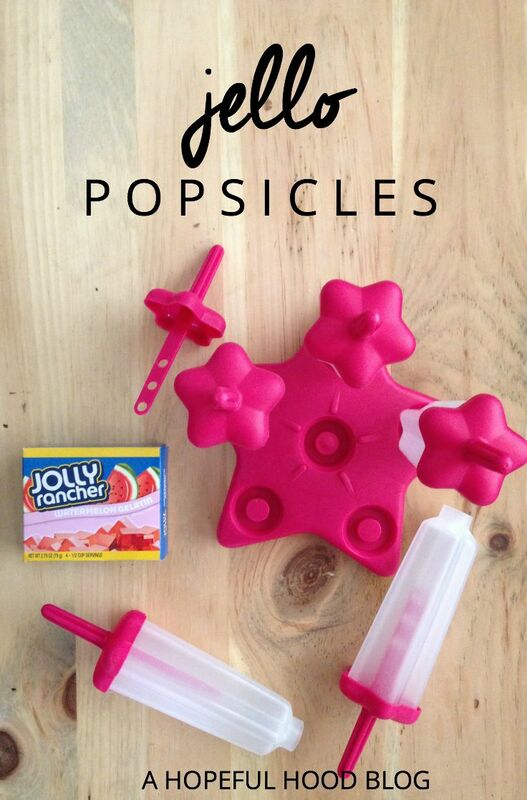 these popsicle molds came from the thrift store for only $1, but target has some here, too. 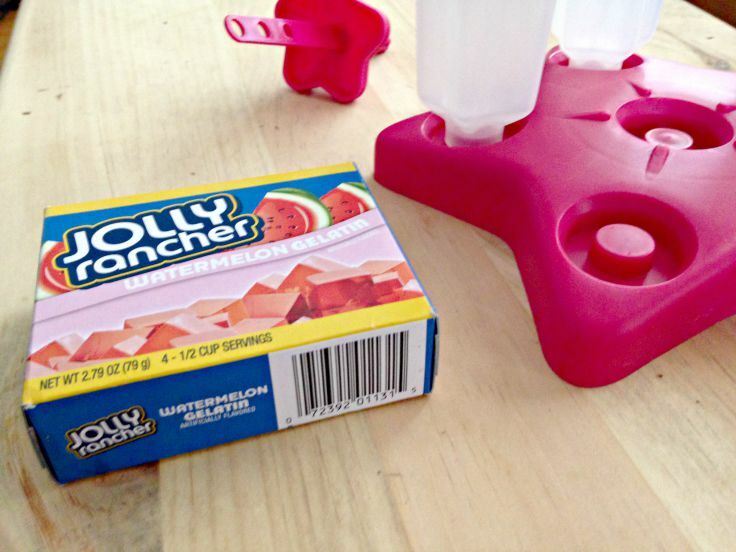 //1// follow the instructions on the box to make the jello. 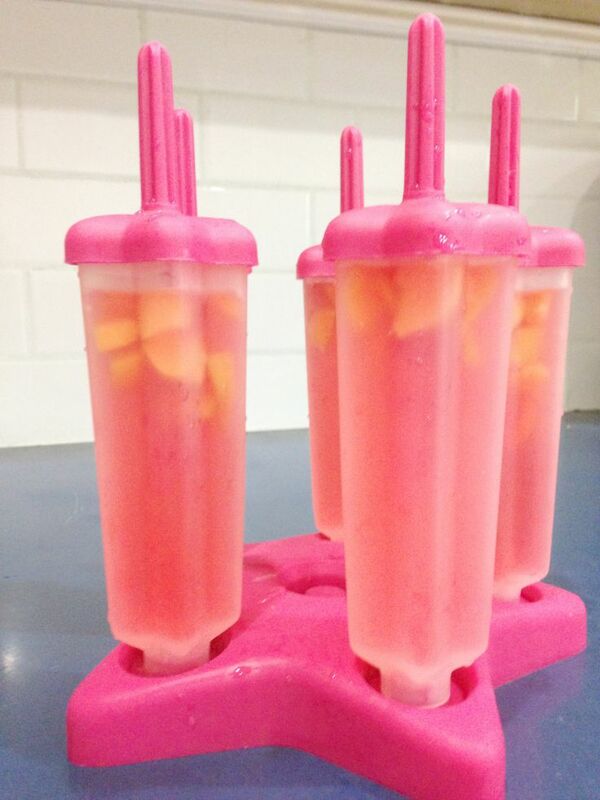 //2// once the mixture cools, pour it into the popsicle molds. 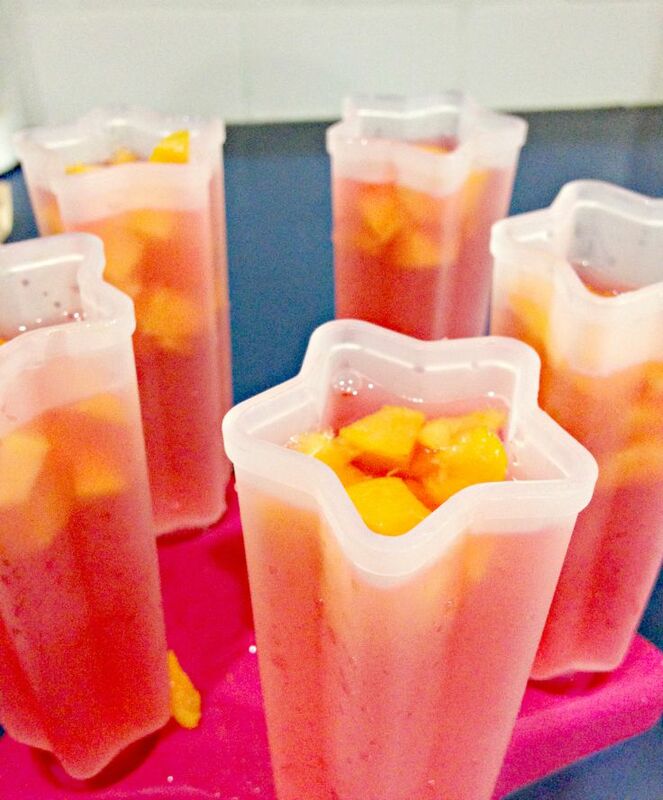 //3// put the popsicle molds in the freezer to begin to set while you chop fruit. 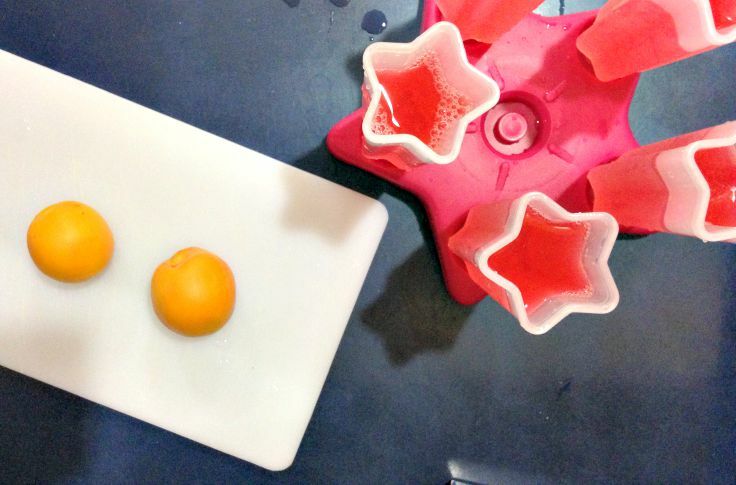 //5// toss the fruit in, stick the handles securely on, and then let the freezer do the rest of the work! 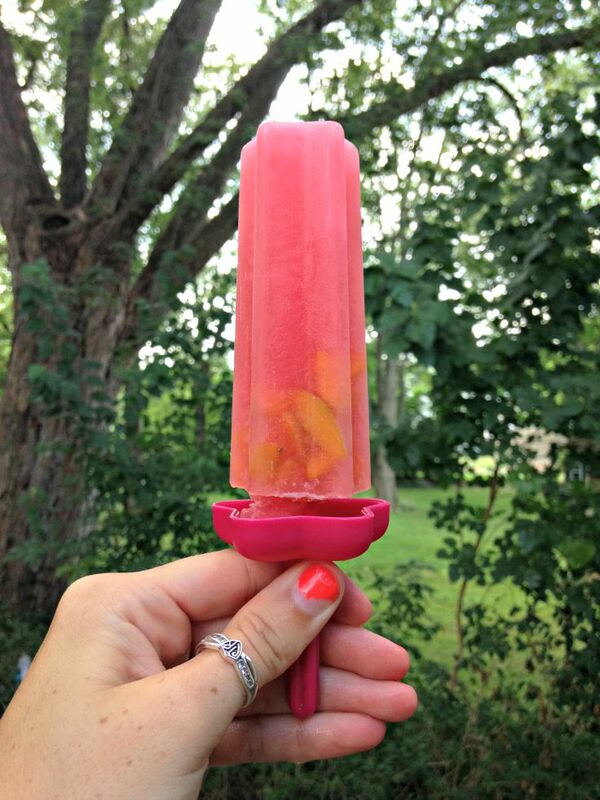 what fun recipes have you made this summer?